More of a traditional pinball simulation using an electronics components theme. Table is a bit sparse but the flipper action and physics are better than most. 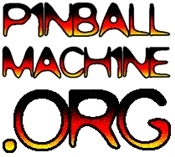 Thanks to Hans on Rec.Games.Pinball for the link.